As I mentioned last week, I seem to have accidentally become a big fan of fantasy novels and so I found myself wandering in the fantasy section of Waterstone’s earlier this week, seeking a follow up book to The Night Circus, which I loved. Anyway, I digress. 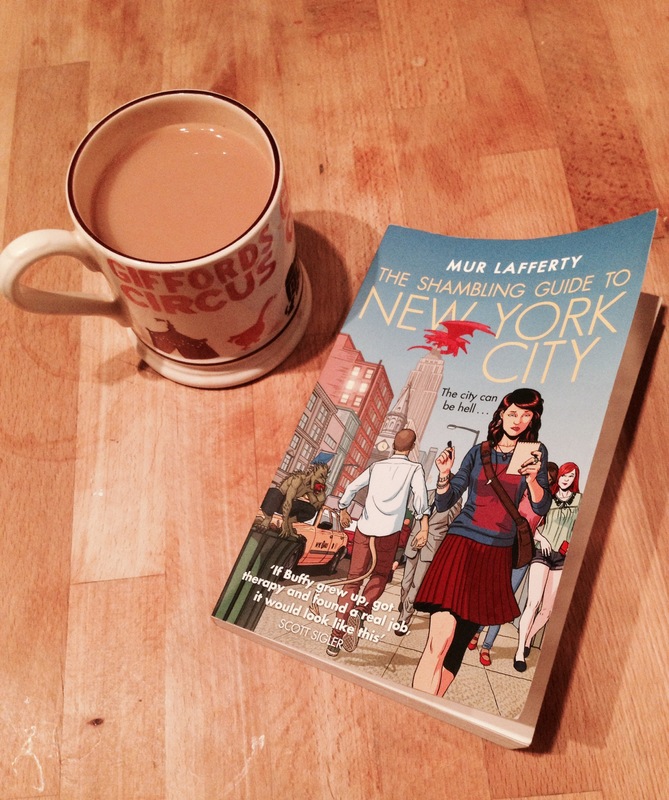 I bought Mur Lafferty’s urban fantasy novel ‘The Shambling Guide to New York City’ and, after a day, I’ve finished it. It’s brilliant. Fast-paced and contemporary, with the wry humour and wit that Buffy was great at, and a mix of comedic and slightly disturbing that only a novel containing zombies can probably manage. I love that she creates characters that I care about, even if they happen to be Death Goddesses, water sprites or vampires. It’s lots of fun and hugely engaging right from the start. I think that it would be a really good introduction to fantasy novels for those of you who might be as sceptical as I was about fantasy as a genre. A whole series of ‘Shambling Guide’ novels set in different cities are planned with the second—set in New Orleans— to be released later this year; I already know that I will be waiting impatiently for its arrival. 3 Responses to Book Review: The Shambling Guide to New York City. I’ve got this book and it’s on my list to read this month. It sounds great, and the Buffy thing attracted me too. We’ve just got netflix and I’ve realised that all the episodes are on there, so I’m going to revisit the hellmouth! I’ve been a huge fan of Mur’s podcasts for more years than I care to remember. Her “I Should Be Writing” was really interesting and useful. I’ve sort of lost track of her recently, but it’s great to see she’s got a book out, and if it’s anything like the short story stuff she did, it’ll be great. Adding it to my list!